Cheung Kong Holdings will start preview of its Thomson Grand project opposite Singapore Island Country Club today. The posh sales gallery cost over $8 million and incorporates more than 100,000 Swarovski crystals, including the chandelier centrepiece. 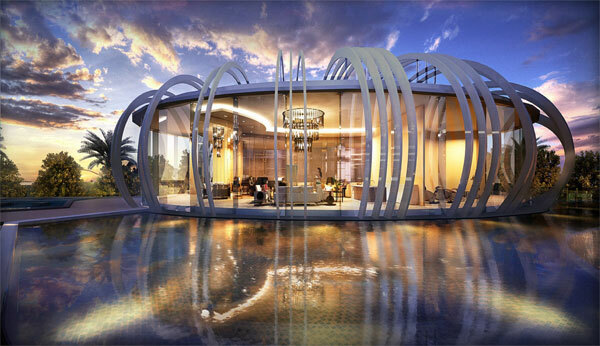 The sales gallery embodies certain features of the project’s Faberge Clubhouse, which will resemble a bejewelled egg. 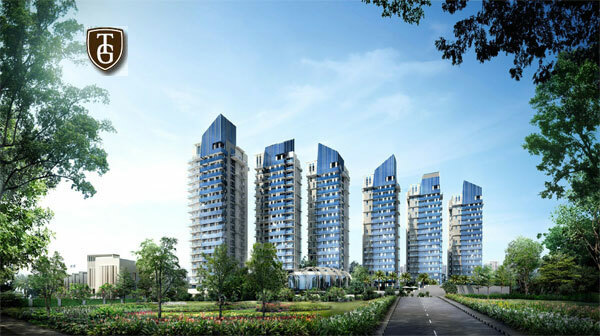 The initial batch of 50 units in the 361-unit project comprises two, three and four-bedroom apartments as well as strata terrace houses. Cheung Kong said that the terrace houses, with strata areas of 5,102 – 6,566sqft, will be priced at $3.5 – 4.6 million while the apartment prices will range from $1.4 million for a two-bedder to $3.8 million for a four-bedroom unit. It said that all apartments will cost above $1,400psf. Cheung Kong clinched the 99-year leasehold site for $533psf ppr in late 2009. Hmm… $533 psf for the land, another $400psf to build the project (and that’s probably at the high end of the cost spectrum). So at $1,400psf selling price, this translates to a cool $400+psf in gross profit. So to all parents with kids, forget about lawyers and doctors… grow up to be a developer instead! No Comment to " Thomson Grand starts preview today! "